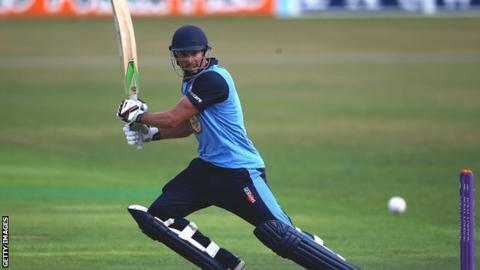 Derbyshire batsman Billy Godleman has signed a new one-year contract with the Division Two side. The 25-year-old left-hander, who started his career at Middlesex, joined Derbyshire in 2012 having previously featured for Essex. Godleman helped Derbyshire to the last eight of the One-Day Cup, scoring 264 runs at an average of 37.71. He scored two half centuries in their County Championship win over leaders Worcestershire last week. "After a tough start, I've been really happy to contribute to the team's recent winning performances in both the 50-over and four-day formats," former England Under-19 captain Godleman told the club website.